It´s been almost two years since I wandered the streets of this colourful, energetic town and still there is not a single day I don´t miss and think of Santiago. During my time in Chile I basically did not have internet at all, so there are only some very basic posts about what I do and that I am still alive. But right now I do not only have time, but also great internet and since no new big trips are planned and Germany is being grey and dull I might just have some throwback moments to my first big trip abroad. Chile is a wonderful country for backpackers: it has beautiful nature, various climate zones, a gorgeous coast, some of the best skiing regions on earth and next to all of that benefits it is one of the safest countries in South America. During my two months in Chile I spent most of my time way out in the mountains cut off from civilization and only sorrounded by horses. It felt like all kinds of comfort or urban lifestyle were hours away and like there was nothing but the impressive nature of the chilean Andes around me. Obviously that was not true: the capital of Chile was only 30 minutes away from me by car. Santiago is the pulsating heart of Chile with an extremely succesful business centre, a huge population and amazing nightlife. 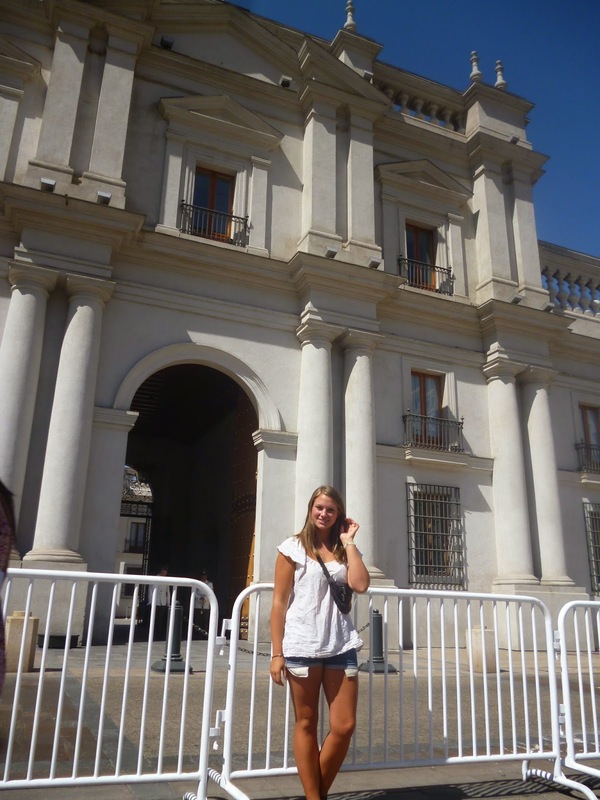 The base of the Chilean government is an impressive building from the 18th century and was the former coinage of Chile. 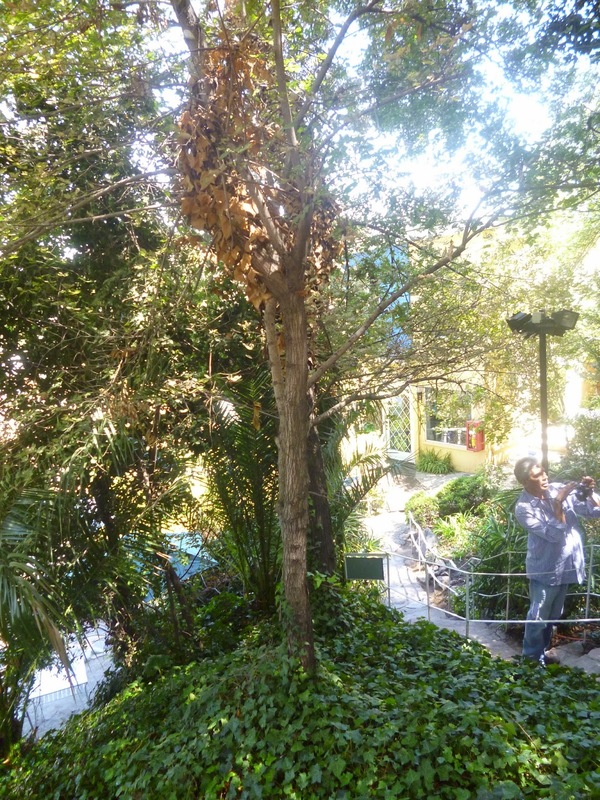 It is also the centre of the 1973 military coup d´etat from where Salvador Allende delivered his heartbreaking last speech to the Chilean public and tragically also the place of his death. A beautiful park spread over one of the city´s highest hills is an exremely calming spot and perfect for a little weekend stroll with an amazing panorama view across town, without having to go through such an extensive hike as you need for Cerro San Cristobal. Getting up there is a little more of a workout than getting up Santa Lucia, but then again you are greeted by virgin Mary once you reach the top so it is worth it. Next to the gorgeous statue you also find a beautiful arrangement of flower grounds and yet again a nice panorama view across town. Apparently people really love to climb up onto things here. Some crazy people also jog on this hill, but let´s not get too adventourus if you ask me. The antique market hall is a wonderful sight especially early in the morning, when the shops are still filled to the brim with all kinds of fruits and vegetables your heart desires. For the non vegetarian visitor there is also a very impressive fishmarket, that includes restaurants, offering the best fish in Santiago for low prices. Before I fell in love with Chile, I fell in love with one of his most famous poets: Pablo Neruda. His houses are popular museums and are absolutely worth a visit. La Chascona was the love nest he build for his beloved mistress and the thought and detail that went into the decoration and the structure of the house are absolutely lovely. There are tours in both English and Spanish and you can also enjoy a delicious Empanada in the café that is part of the museum. This is definitely not one of the casual tourist sights and also not too easy to reach, but in my opinion it is absolutely crucial to look into this part of Chile´s history as well. The Villa Grimaldi was the biggest concentration camp for political prisoners during the military dictatorship under Augusto Pinochet that lasted from 1963 until 1990. The old concentration camp is now a park, that in my opinion has a great exhibition and audio guide telling the crimes against humanity that took place here. It remains one of the most interesting museums I have ever been to and I highly recommend a visit. Santiago has a wonderful mixture of an urban lifestyle and incredible proximity to the most impressive natural scenery in the world. Santiago is nestled into a valley sorrounded by the Andes. For a girl from Northern Germany which is basically the flattest part of the world except for the Netherlands, being sorrounded by a snow covered Panorama at all times was a mind blowing experience. I am afraid of heights, which basically cancels out all hiking, mountainbiking and skiing adventures, but if you are into this kind of stuff it is only an hour and a half from the centre of Santiago into the mountains. I stuck to horsebackriding and while I had to squint my eyes a lot of the times, the views are breathtaking (just like the chilean horse´s climbing skills). I therefore would highly recommend you to take a day or a couple of days and set off for the Andes for some sporting adventures. Super schöner interessanter Post :) hab definitiv Lust bekommen mal nach Chile zu reisen! Finde es toll das du so naturverbunden bist und das du die Möglichkeit hattest zu reiten, ich liebe Pferde :) freu mich auch schon auf den nächsten Chile Post! Ui, super schöne Bilder! Da kriegt man Fernweh!